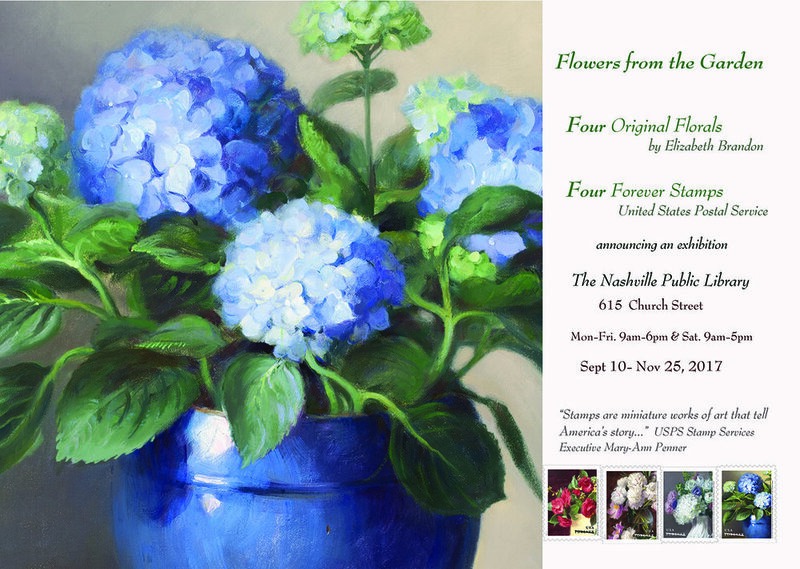 The four florals that inspired the "Flowers from the Garden" Forever Stamps are on display at The Nashville 'award winning' Downtown Library. Canvas prints of the four paintings are available on this website in 'Shop'. 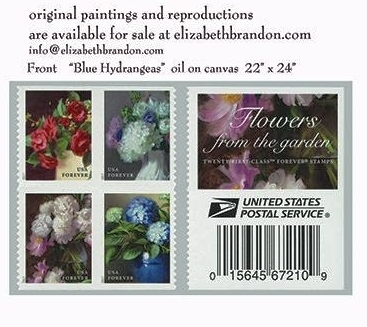 "Peonies" and "Blue Hydrangeas" are original oil paintings available for purchase.